Dr. Guarneri’s research has spanned decades. She has received awards for her contributions to the field of Integrative Health and Medicine. In 2009, she was honored as the ARCS scientist of the year. In 2011, Dr. Guarneri was the recipient of the Bravewell Leadership Award which honors a physician leader who has made significant contributions to the transformation of the U.S. healthcare system. In 2012, she received the Linus Pauling Functional Medicine Lifetime Achievement Award from the Institute for Functional Medicine and the Grace A. Goldsmith award from the American College of Nutrition. Her research began in the 1990s with coronary intervention, studying stent technology and coronary radiation. In 1996, she joined Dr. Dean Ornish to serve as a Principal Investigator in the Dean Ornish Program for Reversing Heart Disease. This led to a series of research studies in biofeedback, mind-body medicine, nutraceuticals and biofield therapies. 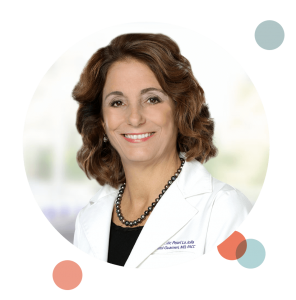 View a list of Dr. Guarneri’s published articles within her CV. In 2014, Dr. Guarneri hosted an interdisciplinary scholarly meeting termed “Biofield Science and Healing” at Pacific Pearl La Jolla. It was sponsored by Miraglo Foundation, Institute of Noetic Sciences, Chopra Foundation and Samueli Institute. An additional outcome of the Biofield Science and Healing conference was creation of Consciousness and Healing Initiative (CHI). The purpose of this nonprofit collaborative is to evolve the scientific understanding and real-world application of consciousness and healing practices, so that individuals and societies are empowered with the knowledge and tools to ignite their healing potential and thus lead more healthy, fulfilling lives. Dr. Guarneri is a CHI Founding Advisor, and the CHI office, located at Pacific Pearl La Jolla, is sponsored by Miraglo Foundation.